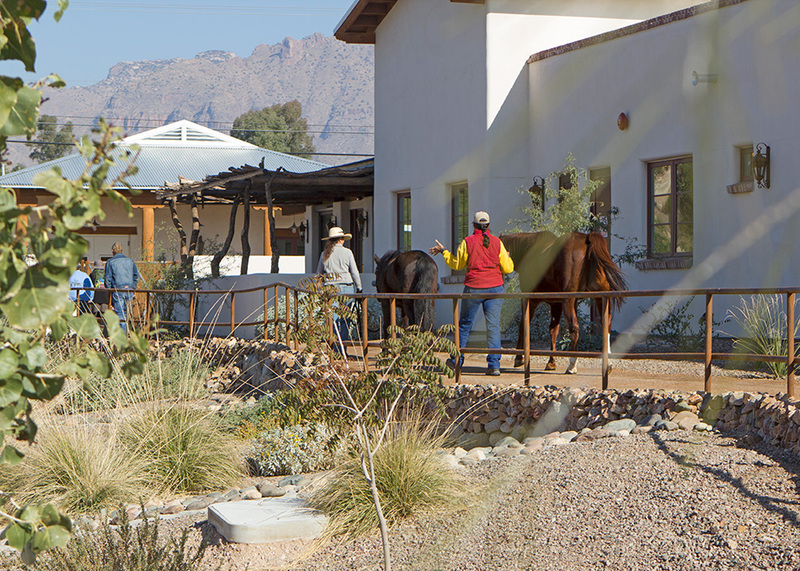 One of the foundations of the Hacienda community is the presence of horses. 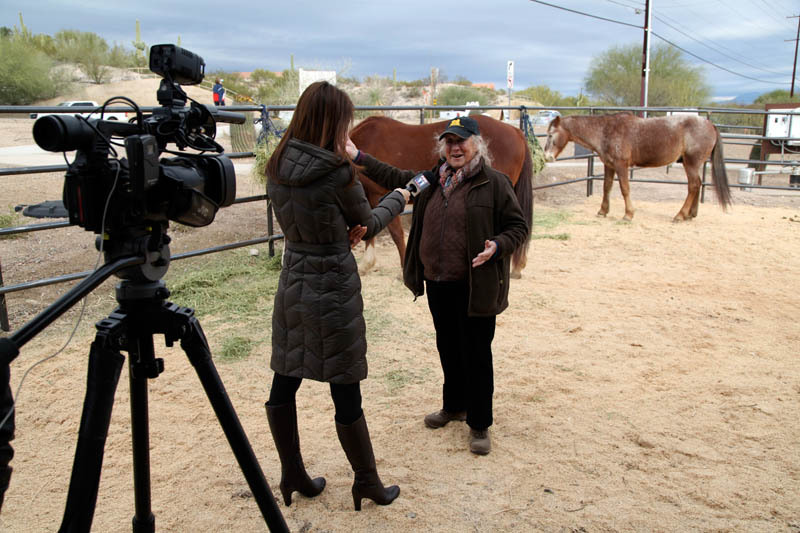 We are extremely fortunate to have Tucson’s equine therapy pioneer Barbara K. Rector of Adventures in AwarenessTM create and direct The Hacienda’s distinct therapeutic equine therapeutic program, called In the Presence of HorsesSM. 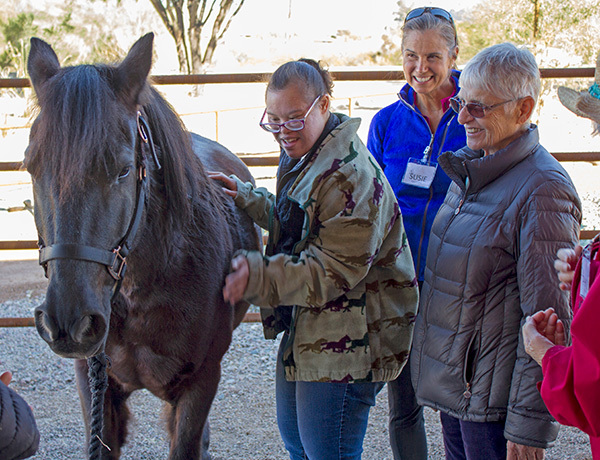 Using an invitational approach, where human and horse invite one another into each other’s presence, these special sessions with horses encourage meaningful connections to self, to others and to the larger community. 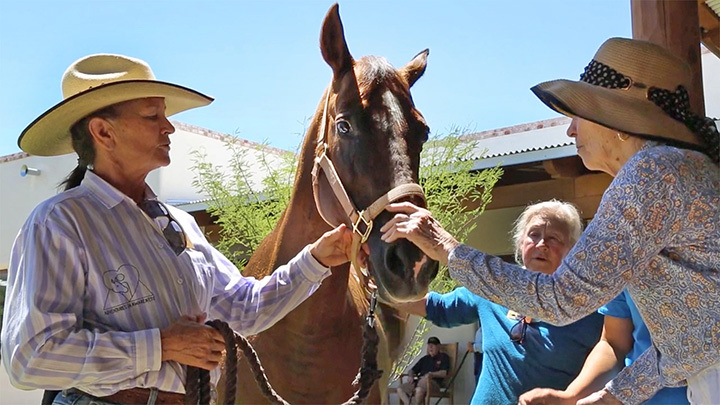 Residents, with Barbara’s team helping in an experiential ‘learning through doing’ technique, learn how and what the horse is communicating through its own nonverbal yet very expressive form of language. 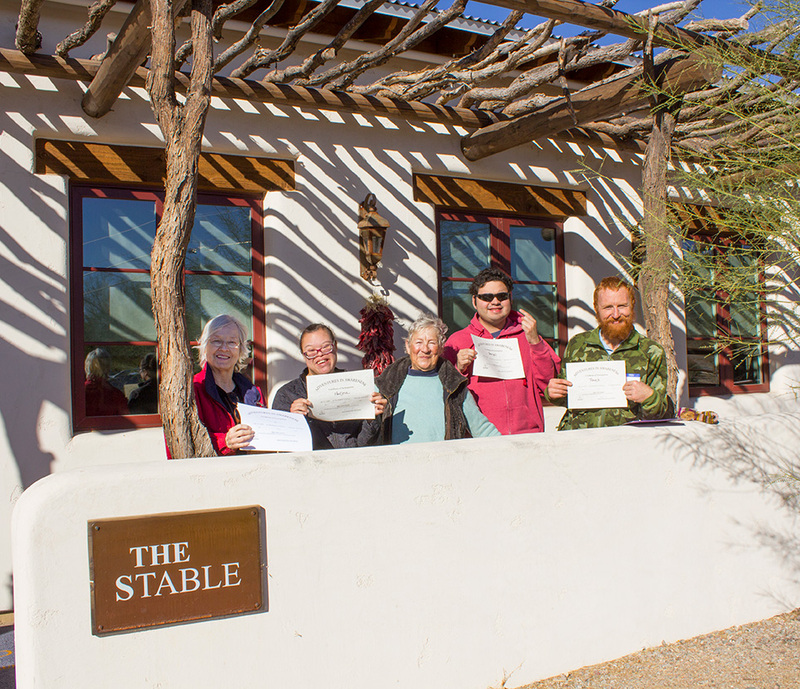 Through this intercommunication, residents learn about relationship development and communication skills, with an emphasis on trust and choice. 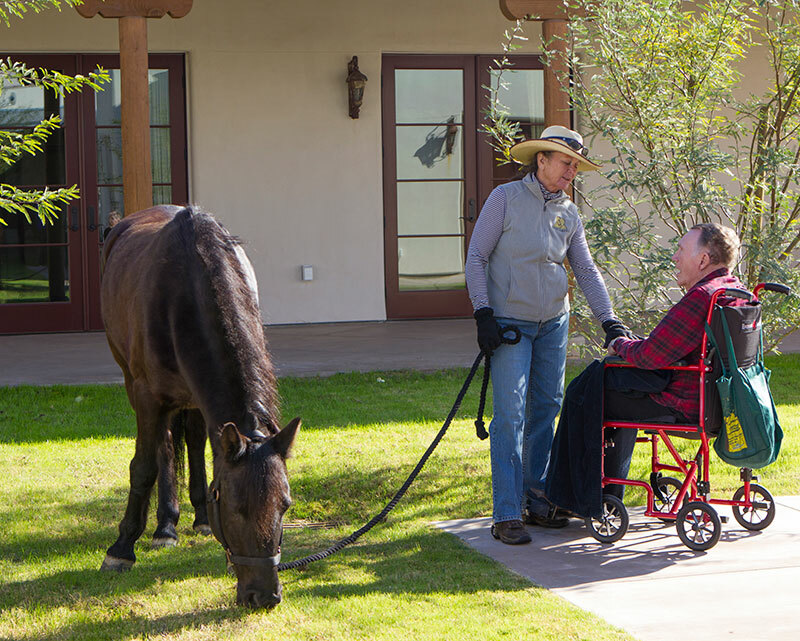 Therapeutic equine sessions vary in length and in the type of interaction with the horse: some residents are in the presence of the horse, with no physical touching but being with the horse from a shorter or longer distance. 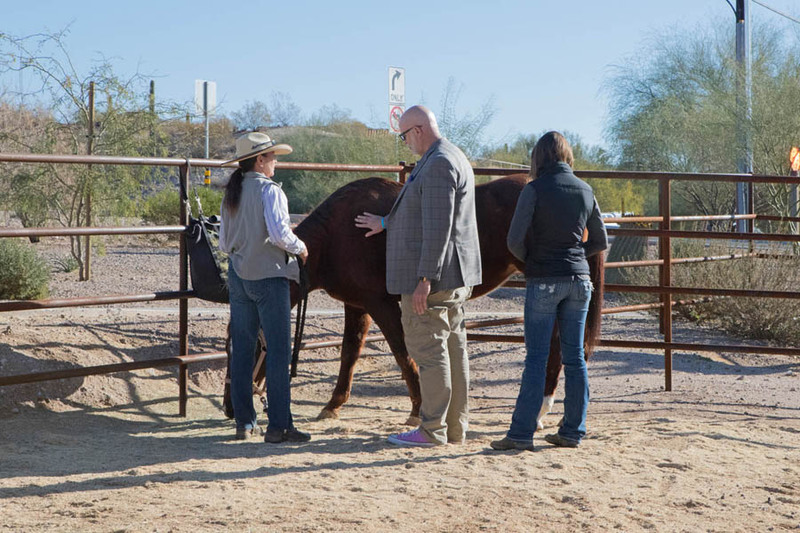 Other sessions are ‘meet and greet,’ ‘mutual choosing’ and ‘heart scan’ that focus on horse and human getting to know one another, followed up with touching and grooming. 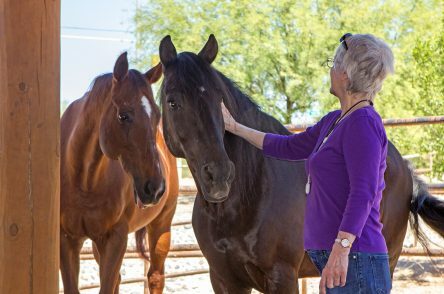 Recent studies are showing that equine therapeutic approaches have proven to be especially valuable and beneficial for those dealing with Parkinson’s, Alzheimer’s, Dementia and Depression. 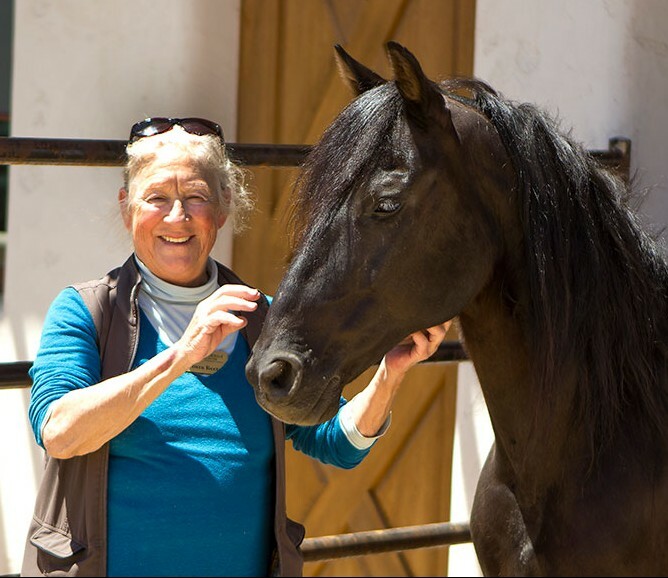 Working with horses contributes to core strength building, balance and mobility.